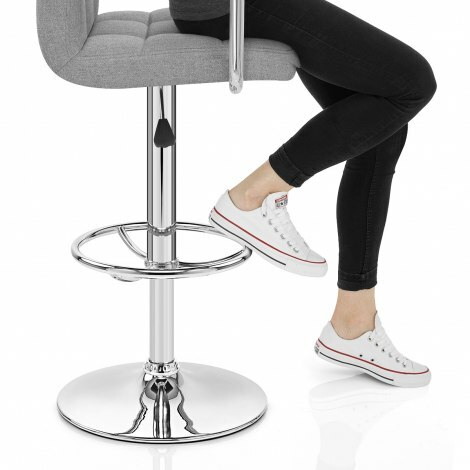 Discover the true potential of your bar area with the Maze Bar Stool Grey Fabric, a modern design that is both comfortable and chic. 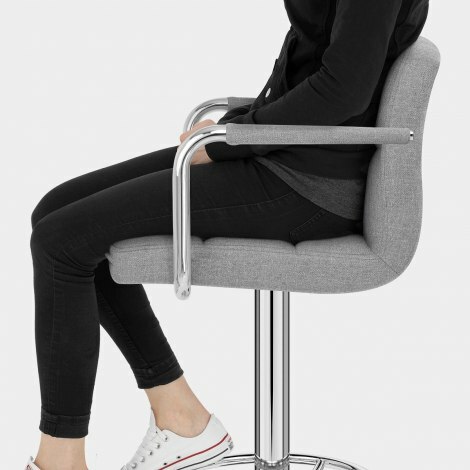 Showcasing ergonomic features and a stylish minimalist design, the Maze offers you the best of both worlds. 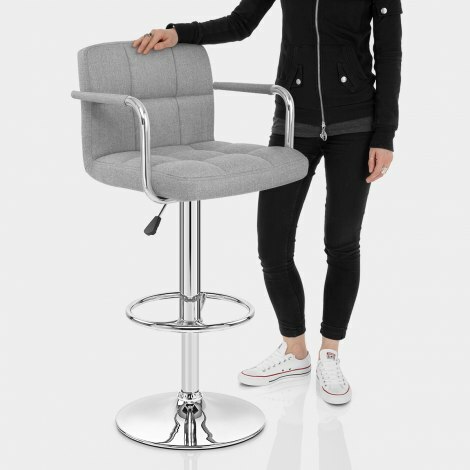 Detailed with a stylish grid stitch pattern, the grey fabric seat is a sumptuous treat with dense padding and a high backrest. This is enhanced by slender chrome armrests, made more comfortable by matching fabric covers. Finished in polished chrome, the frame houses a variable height gas lift mechanism within the column and also allows for 360-degree spin. This is accompanied by a circular footrest, echoing the round base that is complete with a protective floor guard.